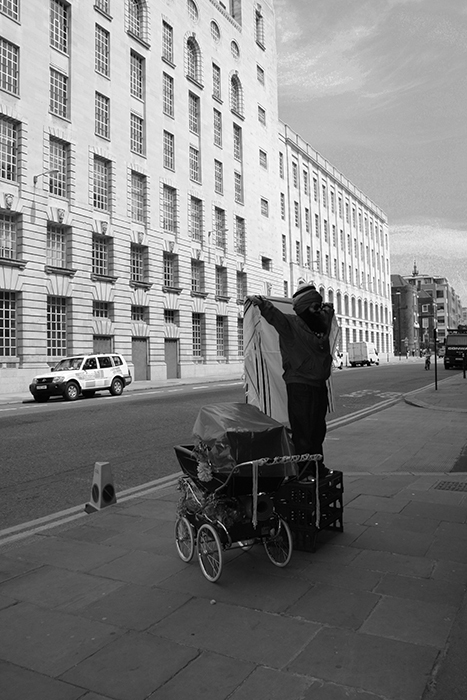 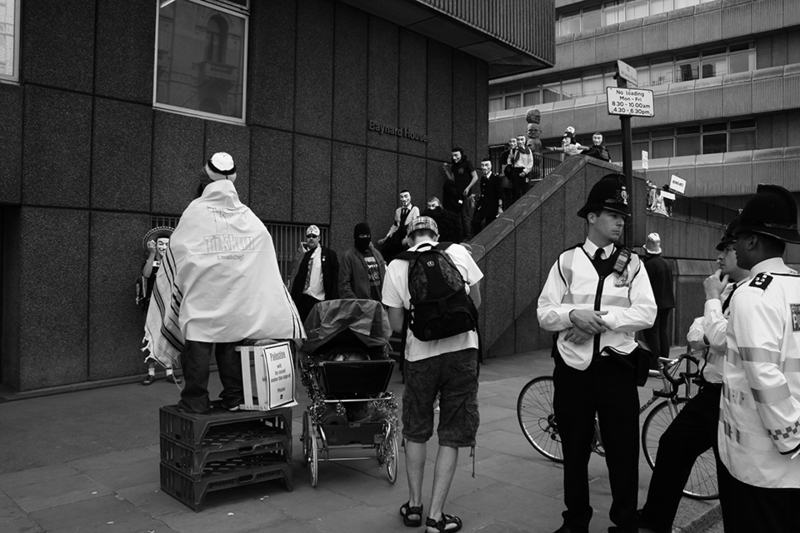 In May 2008, Ashery re-enacted one of Shabbtai Zvi’s ‘Strange Acts’. 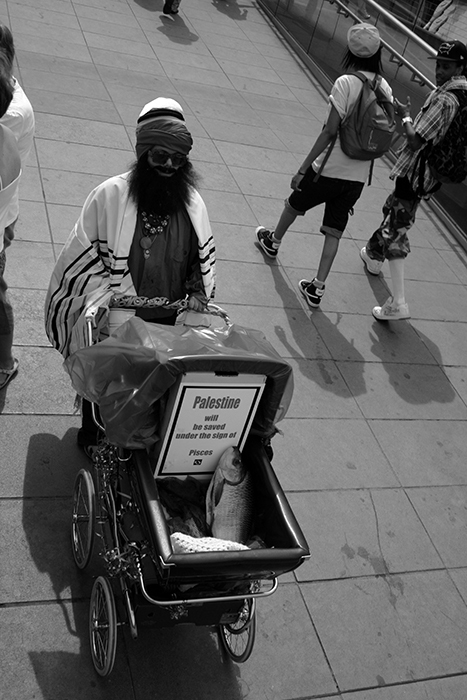 In Saloniki, Greece, Shabbtai pushed a pram containing a fish dressed in baby clothes, prophesying that Israel will be saved under the sign of Pisces, meaning that Jews will return to Zion. 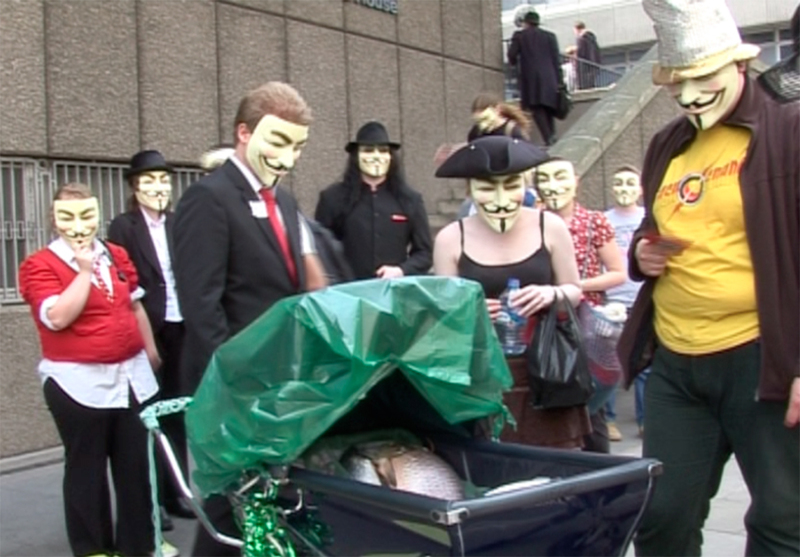 Outside the Church of Scientology in London, Ashery walked with a pram, a fish and a sign reading ‘Palestine will be Saved Under the Sign of Pisces’, evoking the Palestinian Right to Return. 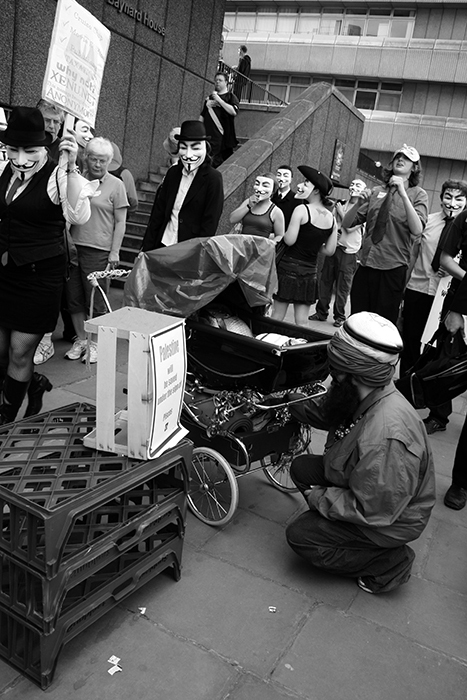 The performance took place just minutes after a demonstration against Scientology’s control of Google by the group Anonymous. 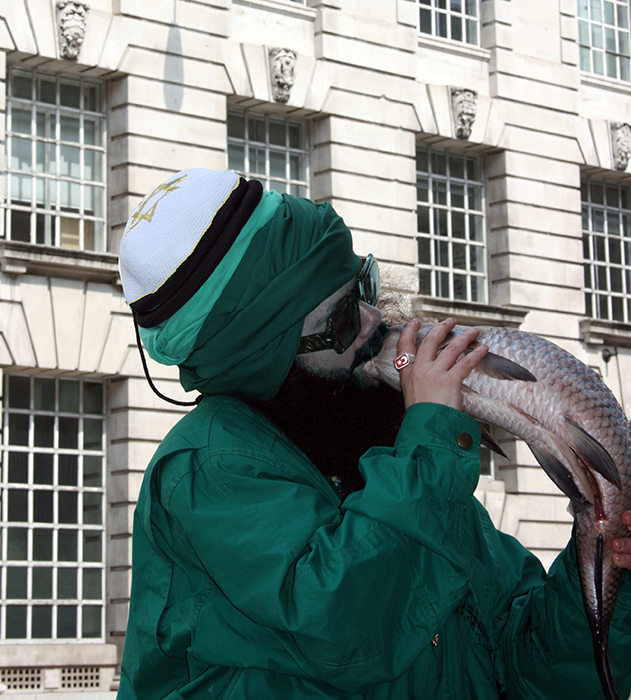 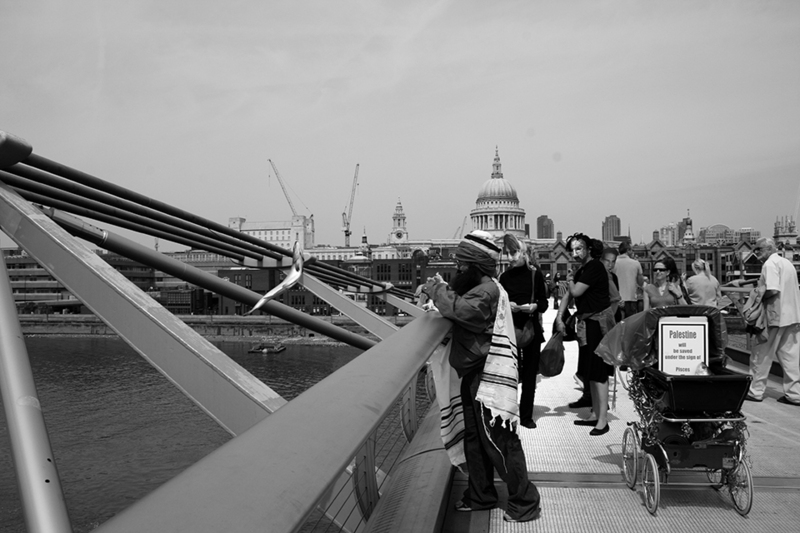 Ashery proceeded to kiss the fish, at great length, after which she walked the pram over the Millennium Bridge to FA Projects gallery.